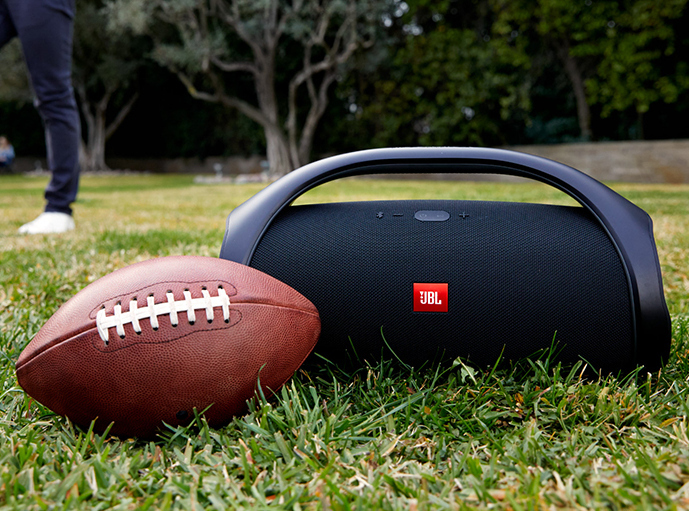 Harman International has launched the JBL Boombox portable Bluetooth speaker in India for Rs. 34,990. It is available with immediate effect on the company’s own official webstore, where you can buy it for just Rs. 30,499 right now. It is currently available only on harmanaudio.in, but will eventually also be sold through various other online and offline retailers, including at 350 Samsung brand stores across the country. Harman International, which recently appointed ‘Quantico’ star Priyanka Chopra as its global brand ambassador, is owned by Samsung Electronics. In a press statement, Sumit Chauhan, the Vice President of Lifestyle Audio Division at Harman India, said that, “JBL Boombox provides long-playing sound, setting the standard for power in all future portables in the industry. We are excited to give consumers in India yet another way to have a powerful audio experience, now in a portable package”. While Harman is promoting the device as a ‘portable speaker’, it weighs a massive 5.25 kg and is nearly 20 inches long, which means moving it around from one place to another is certainly going to take some doing. The company admits the Boombox’s heft, and is describing it as “the biggest portable speaker available”. Thankfully, though, it is powered by a massive 20,000mAh Li-ion battery that the company claims will provide 24-hours of continuous playtime. As for the hardware, the JBL Boombox comes with four active transducers that allows it to hit high volumes without distortion, while the two bass radiators help it play deep and powerful bass notes. It’s also rated IPX7 that denotes full waterproofing, which means you should be able to attend open-air pool parties or rain dances without having to worry about the consequences of liquid damage. The speaker also comes with wireless Bluetooth streaming, which allows users to connect up to two smartphones or tablets to stream music from their favorite streaming services. There’s also JBL Connect+ that allows users to wirelessly connect more than 100 speakers as part of a large Bluetooth mesh network. The device is currently only available in Black, with no word on whether it will be offered in additional colors going forward.